Foreign companies require continuous support both with their business activities as well as also with the incorporation of a company in Germany in all legal questions and also competent business and strategic advice. Since its formation, Poppek Law Firm has successfully supported a large number of companies from Europe, Russia, India and in Asia with their various plans. With the incorporation of a company, a solid business plan not only facilitates the examination proceedings undertaken by public authorities and negotiations with banks but also establishes an important and practical guideline for entry into the German market at the same time. Within the framework of the compilation of a business plan, we perform, among other things, internal market research as well as respective cash flow calculations. Our Law Firm provides individual advice and support to foreign companies with the search, establishment of contact, selection, preparation and implementation of company acquisitions. 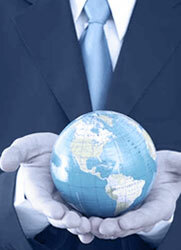 The Law Firm is supported hereby by experienced and reliable cooperation partners.